Taraji P. Henson not only dominated the scene as Empire's first lady, but as a style star to watch. 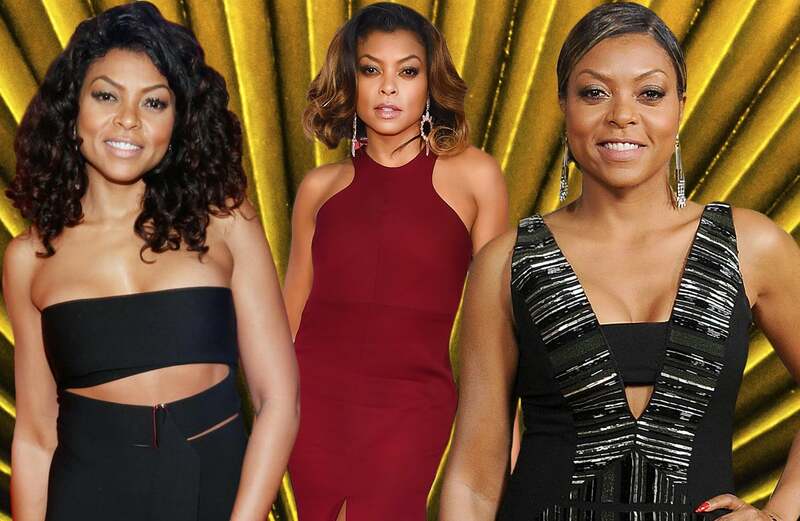 From super sophisticated to pieces that pushed the envelope, Taraji owned her style this year! In Bibhu Mohapatra at the premiere of Fox's 'Empire' held at ArcLight Cinemas Cinerama Dome on January 6, 2015 in Hollywood, California. In Valentino at the opening ceremony of the 55th Monte Carlo TV Festival on June 13, 2015 in Monte-Carlo, Monaco. In Kris Goyri on the red carpet for the 67th Annual Directors Guild Awards in Century City, California, February 7, 2015. In Bibhu Mohapatra during Mercedes-Benz Fashion Week Fall 2015 at The Pavilion at Lincoln Center in New York City. In Cynthia Rowley as she arrives at Fox's Empire ATAS Academy event held at The Ace Hotel Theater in Los Angeles, California. In a see-through lace dress at the Samsung launch of the Galaxy S 6 and Galaxy S 6 Edge at Quixote Studios in Los Angeles, California. In Balenciaga at the 'China: Through The Looking Glass' Costume Institute Benefit Gala at the Metropolitan Museum of Art in New York City. In a cobalt jumpsuit while attending the 2015 FOX Programming Presentation at Wollman Rink, Central Park in New York City. In Alexandre Vauthier as she arrives to the 2015 Billboard Music Awards at MGM Garden Arena in Las Vegas, Nevada. In custom Vera Wang while attending the 2015 CFDA Fashion Awards at Alice Tully Hall at Lincoln Center in New York City. In Monique Lhuillier at Spike TV's Guys Choice 2015 at Sony Pictures Studios in Culver City, California. In Jay Godfrey while attending the Dope Opening Night Premiere at the 2015 American Black Film Festival at SVA Theater in New York City. In Alexander Wang at the 5th annual Critics' Choice Television Awards in Beverly Hills. In Cushnie et Ochs at the 2015 Summer TCA Tour - FOX All-Star Party at Soho House in West Hollywood. In a black and white bodycon dress at the 2015 American Black Film Festival at New York Hilton Grand Ballroom in New York City. In Emanuel Ungaro at the 'Empire' Series Season 2 New York Premiere at Carnegie Hall in New York City. In Dolce & Gabbana at Entertainment Weekly's first ever 'EW Fest' presented by LG OLED TV in New York City. In Alexander Wang at the 18th Annual Accessories Council Awards. In Alexander Wang while attending VH1’s Big in 2015 With Entertainment Weekly Awards. In a black dress with mesh detail at the GQ 20th Anniversary Men Of The Year Party at Chateau Marmont on December 3, 2015 in Los Angeles, California.